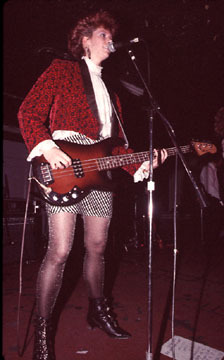 In-between drumming for The Pandoras and playing guitar for The Rebel Pebbles, Karen was Wednesday Week's bassist. She might have been the most proficient musician ever in Wednesday Week! Karen was listed as one of the Top 100 Greatest Female Drummers of All Time by the Female Drummer Newsletter.